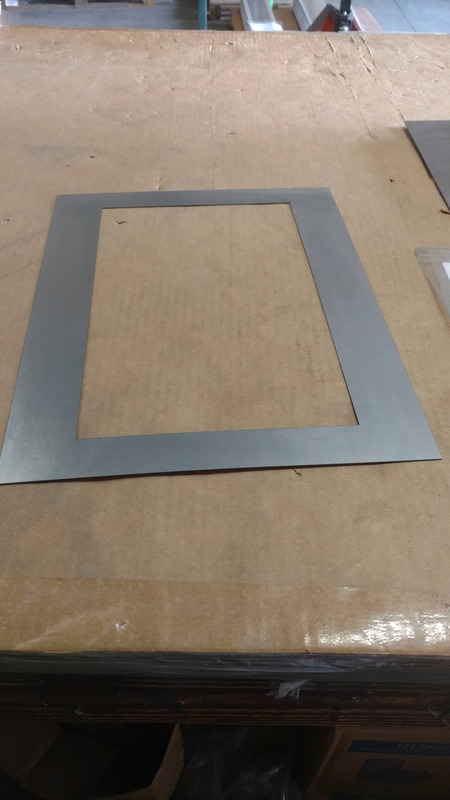 Sheet Metal can be cut and bend to almost any shape or form you would like to have. Sheet metal like aluminum, stainless steel or mild steel are the most common metals used. We offer for each sheet metal different thicknesses and if available finishes (surfaces) so you have a rich portfolio to choose from. more work involved to get an angle made out of aluminum sheet metal plate that has holes in it. In that particular case and in any other case where you need an even more individually fabricated piece of metal you will have to send us in a drawing. Now it really does not have to be a CAD drawing where dimensions are correct down to a millimeter, no but we would like to SEE what you want based on that drawing. And yes we do need measurements so we can quote you a price. 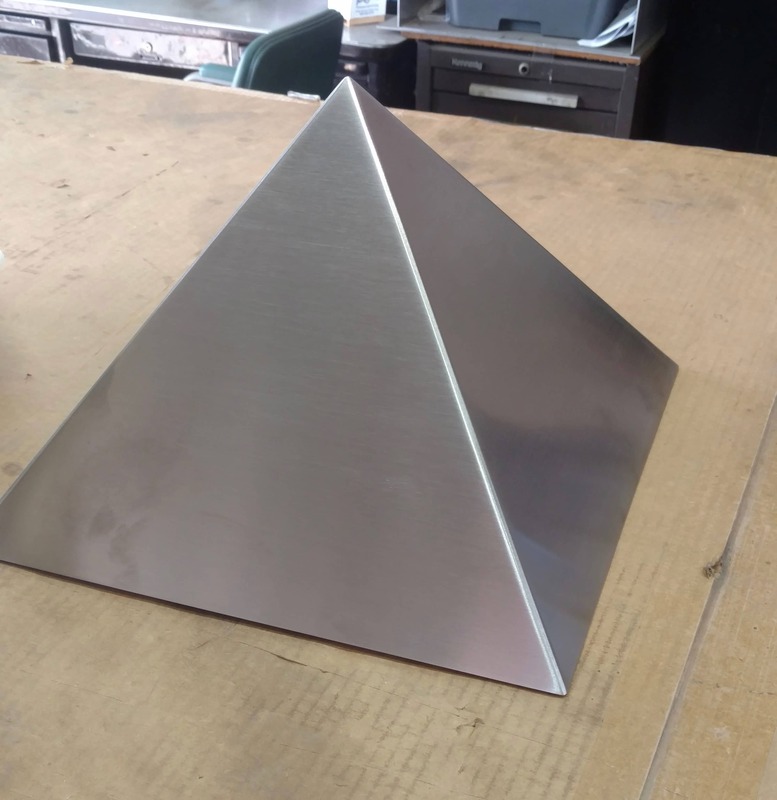 Once you have send us your drawing, stating what you want in which metal and thickness, we will have a look at it and if we can fabricate it, we will send you a free quote. 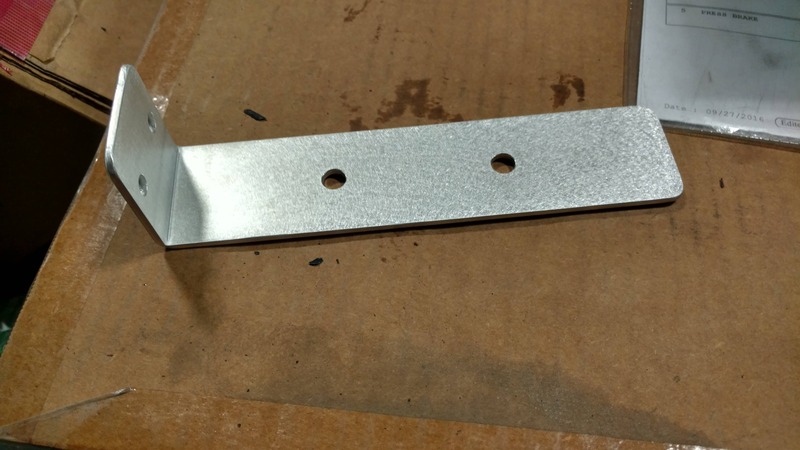 This quote will include the metal part itself, the CAD and Laser programming as well as all the fabrications steps needed to send you the fabricated sheet metal you want and need. There is no minimum order quantity so you can order just one piece if you only need one. Or as difficult as this pyramide. It is your choice at all times.